The dreaded "adolescent" metal braces are not the only way of straightening teeth these days. If you’ve been wondering whether to try and get your teeth straightened, Invisalign® will do it more easily than you would have dreamed possible. Instead of a mouthful of metal for a year or two, you would have a series of clear, removable aligners – trays, much like tooth whitening trays. You would wear each pair of trays for two weeks, then put aside the current pair and start wearing the next pair in the series. For an initial consultation, please call 703-319-6990 Softouch Dental Care at to discuss Invisalign options. Dr. Chung will determine whether or not Invisalign is a good option for you by examining your teeth and bite. In some cases, traditional braces are still the best option. But, if you and he decide to go ahead with Invisalign, he would start by examining the exact positioning of your teeth. He would take molds both upper and lower, and digital photos of your teeth. The Invisalign manufacturer would then make a CT scan of the molds, creating a 3D model. Computer Aided Design (CAD) software would be used to simulate your teeth’s movements at each stage of treatment. After Dr. Chung approves this plan, the company would make your series of aligners. Each pair of aligners would nudge certain teeth in the right direction, following on from the nudging done by the previous pair of aligners. By the end of the series, your teeth will have been gradually moved to better positions – good for both your smile and your bite. For an adult with a busy professional or social life, or both, Invisalign is a superb answer to the problem of crooked teeth. The aligners are clear and almost invisible, so most people would never realize you were using them unless they looked very closely. You would remove the aligners at mealtimes and for brushing and flossing. That means you can eat all your favorite foods and don’t have the problem of sticky foods getting caught on braces. You could even remove them on special occasions when you want to look your best. The first step is an initial consultation at our office. Please call 703-319-6990 or email Softouch Dental Care if you would like to set up an appointment with Dr. Chung about invisible braces. 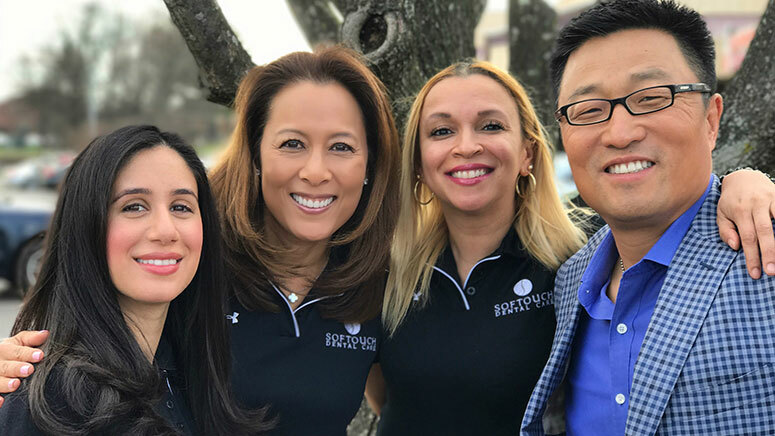 Dr. Chung believes strongly in patient education, and he will be glad to clearly answer all of your questions about Invisalign and other orthodontic treatment options. We hope to meet with you soon. Our office serves Oakton, Tysons Corner, Reston, Vienna, Arlington, Fairfax and all of the Northern Virginia and Washington DC area.